Although it’s hard to disagree with people’s belief that custom designed clothing is perfect for businesses large or small, we would have to disagree that throwing your business logo and information on promotional wear is the best way to promote a business. The process of choosing a logo that captures the heart of a business is not one for amateurs. Neither is the process of choosing the right color combination and quality materials that will mark a company’s brand as a cut above the competition. Branding a business With quality promotions is key because if the quality isn’t there, it reflects poorly on the brand. While we would agree that promotional wear gives businesses a cost-effective way to promote their products and services, we would add that it is equally important to be consistent in the way a company brands its business. Whether a company chooses t-shirts, hoodies, or jackets to market its business, all its promotional wear must make a fashion statement that creates a seamless perception of the company’s products. Think about the companies whose logos have become legendary in the business world. A single swoosh logo creates a feeling of motion that marks products bearing that logo as athletic wear of the highest quality—Nike. On the other end of the fashion spectrum, a capital F paired with an upside-down capital F marks merchandise with that logo as a high-end, high-fashion design: Fendi. The cheery red-and-white can coupled with one word—Coke—calls up a promise of refreshment, of good times, and of good company. Customers expect all of a company’s marketing efforts to mirror each other with respect to logo and design. Imagine what would happen if Coke started marketing its product with Pepsi’s trademark red, white, and blue? Coke’s regular customers would become confused and end up not buying the product. Consistency, as one can see, is important when one wants to get the most bang out of one’s marketing buck. Yet if that “walking billboard’ looks lopsided, what does that say about the company who gave away the promotional wear? Promotional t-shirts with uneven seams, promotional hoodies that come unstitched, or promotional jackets with mismatched shoulder pads mark the company’s products as equally shoddy. Similarly, although it is indeed that companies who use promotional wear for employees’ uniforms can create a professional image by requiring conformity by all employees on the job, we would caution companies who do so to err on the side of quality. 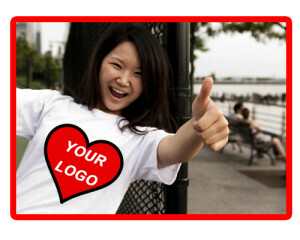 Only top-quality promotional wear will create the professional image a company wants its employees to project. Companies should also remind their employees to take good care of their uniforms. An employee wearing a wrinkled mess of a t-shirt will mark that company, too, as a hot mess. A company who wants its image to be as good as its products needs to choose its promotional gear with care. 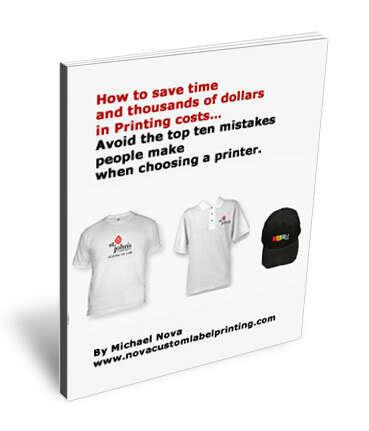 Why hire a fly-by-night company to manufacture t-shirts on the cheap when one can get quality promotional wear crafted with the highest standards? Designer logos made to a company’s exact specifications, coupled with design experts’ advice on what sizes and placements of designs work best on promotional wear are worth way more than the money one might save by opting for more items but with lesser quality. After all, a company wants all its billboards—especially the ones walking around town—to reflect its highest standards. That’s what brings in—and keeps—a company’s loyal customers.